We warmly welcome all visitors to the Customer Centre at our head office in Bad Wörishofen. Collaborate, innovate and prove to deliver results…! In the Customer Centre, we can give you a first impression of our innovative capabilities. The packaging solutions on display for different industries give you an idea of what the competencies are of our design team. 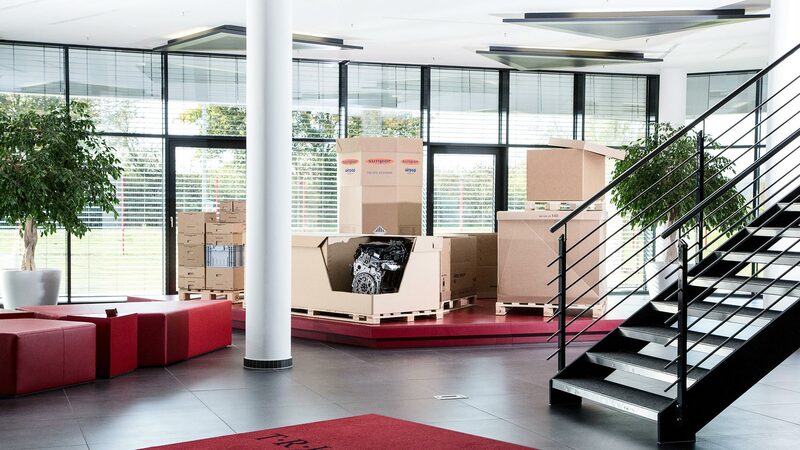 We present a range of packaging solutions and their contents grouped into various segments: Automotive, Semi Bulk and Electronics. From large GLTs to small KLTs and packaging solutions from single wall to triple-wall! If necessary, the packs are equipped with other materials to keep the product in place and protect it against shocks and vibrations. In the Customer Room located in the Customer Centre, we welcome our guests with a cup of coffee. Afterwards, we can start discussing their packaging needs and our ability to meet them. By focusing on the entire supply chain, we reduce costs and manage risks. From the moment we have identified your needs, we can analyse every step in your supply chain together with you. 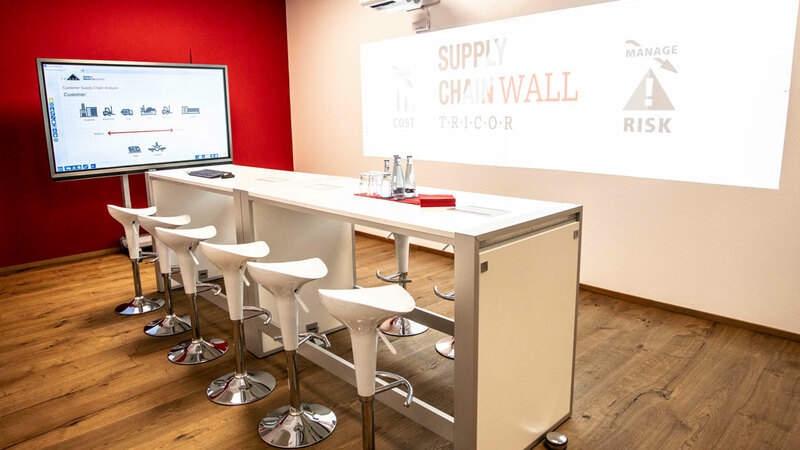 We will invite you to our Collaboration Room for a Supply Chain Analysis session. 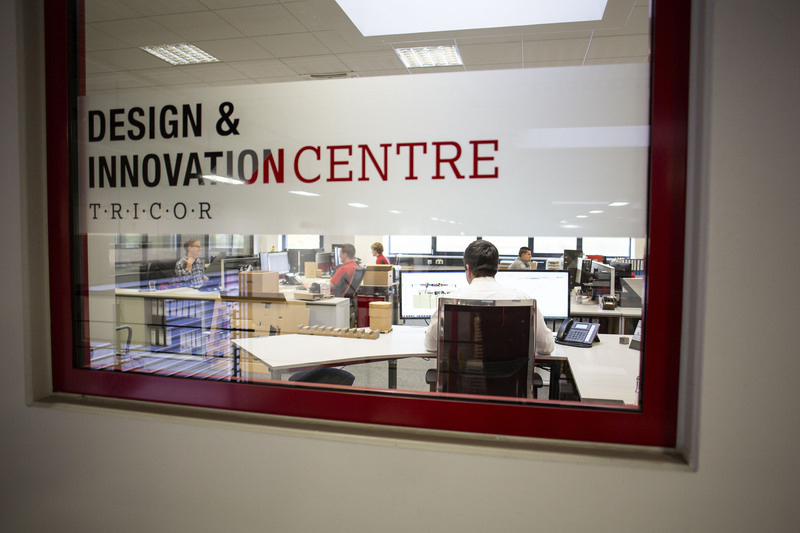 Based on the collected packaging needs and all the Supply Chain Information, our designers will be put to work in the Design & Innovation Centre. They will convert the information into a packaging solution that will save costs and minimise risks. After you have approved the design, we will prepare samples. 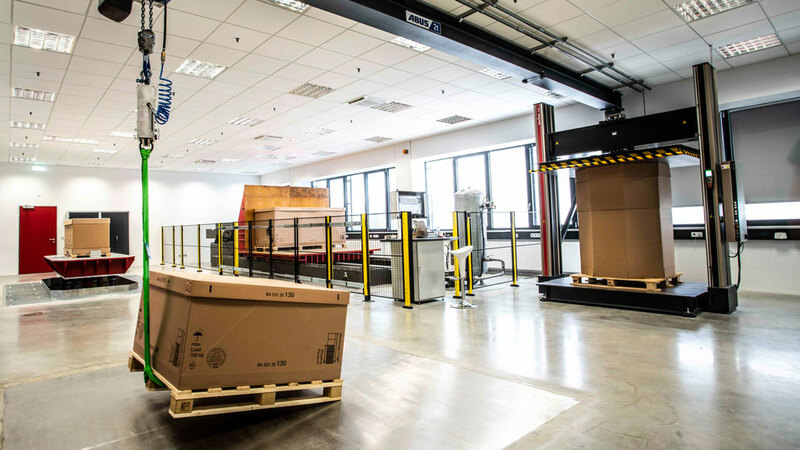 Instead of asking you organising a number of trial shipments and wait for feedback, we can subject the packaging to an ISTA Supply Chain test in the Proof of Concept Centre. After just one day of testing, we will know more about the performance of the design in the total supply chain. Let us work together to develop the best packaging solutions!